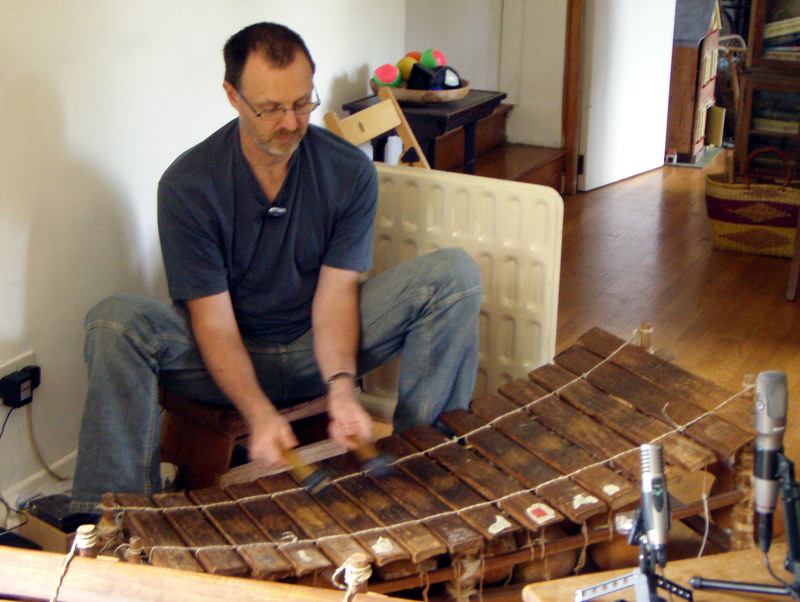 These instruments are from the Dagarti tribe, tuned around the pentatonic ACDEG. 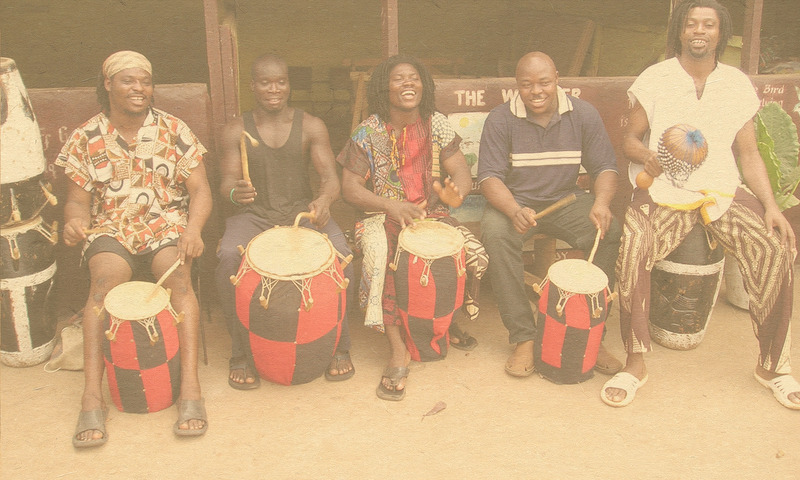 They are traditionally called ‘gyil’ a pentatonic percussion instrument common to the Gur- speaking populations in Ghana, Burkina Faso and Cote d’Ivoire. 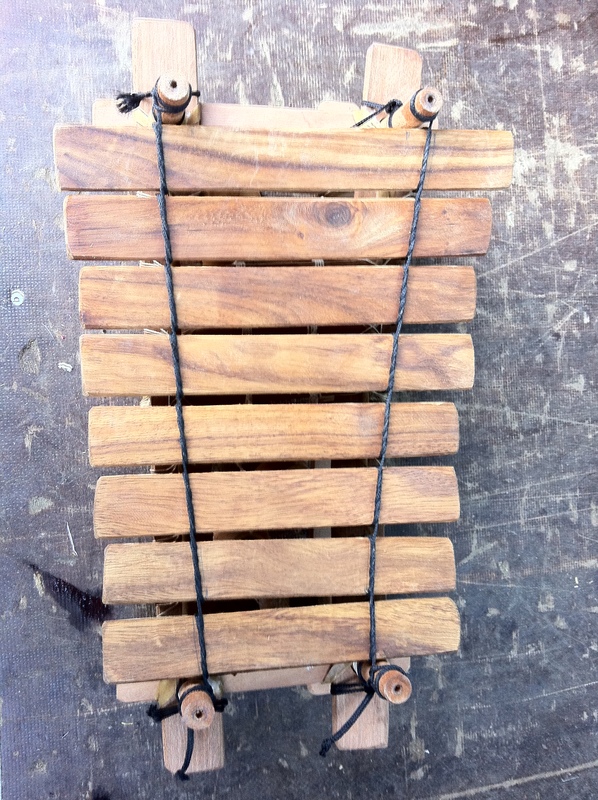 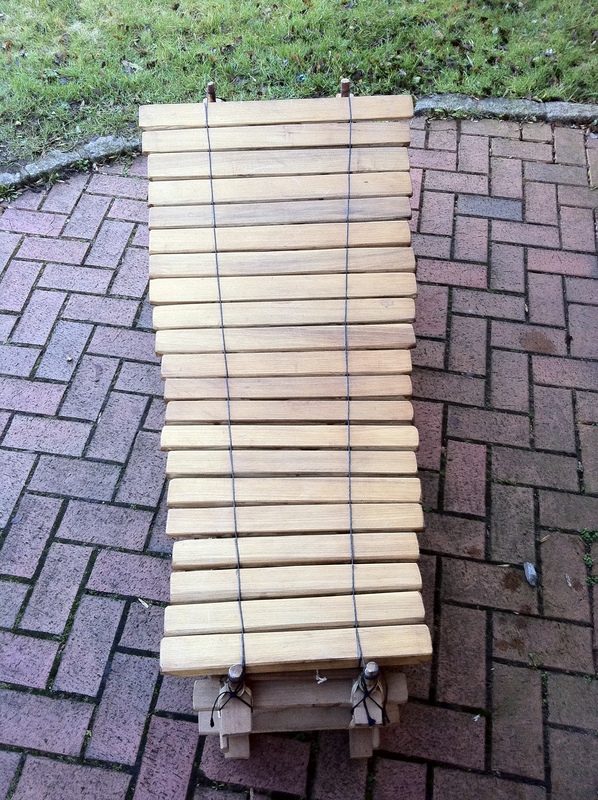 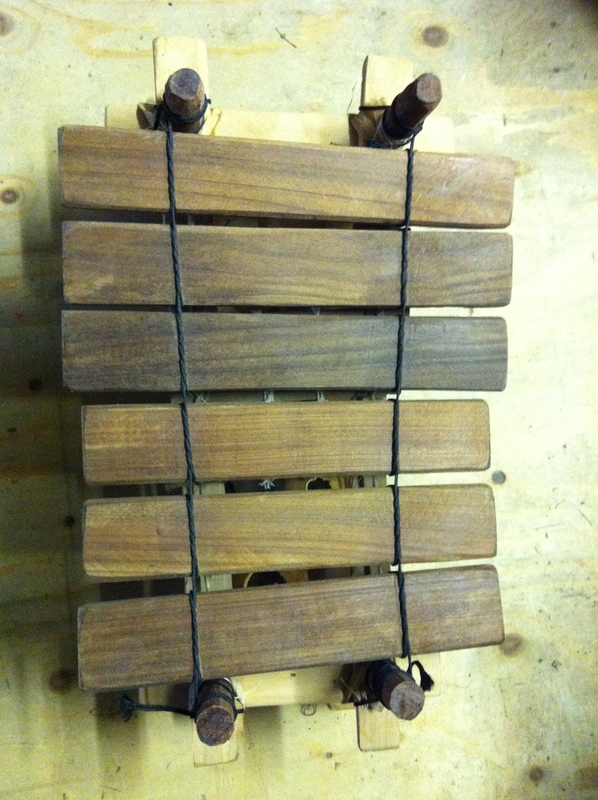 The Gyil is part of the xylophone family. 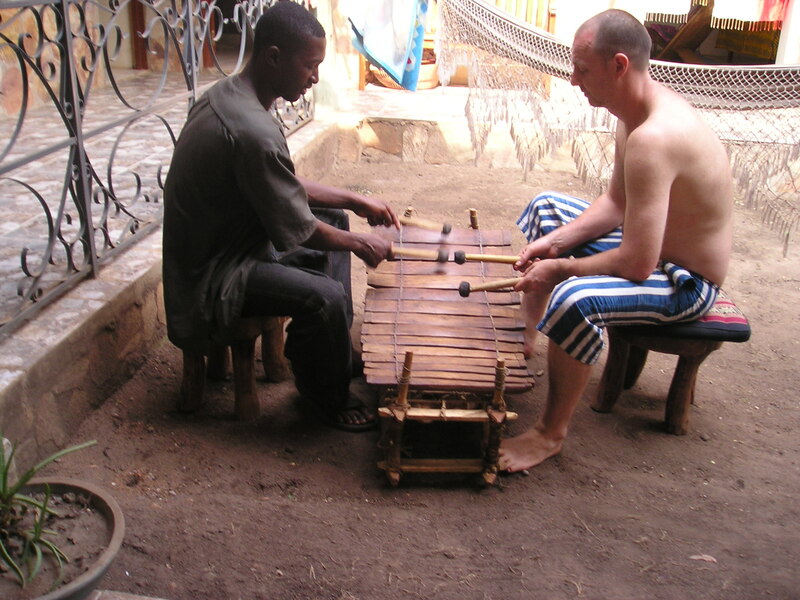 It is the primary traditional musical instrument used by the Dagara, an African ethnic group of northern Ghana and Burkina Faso and by the Lobi of Ghana, southern Burkina Faso, and Cote d’Ivoire. 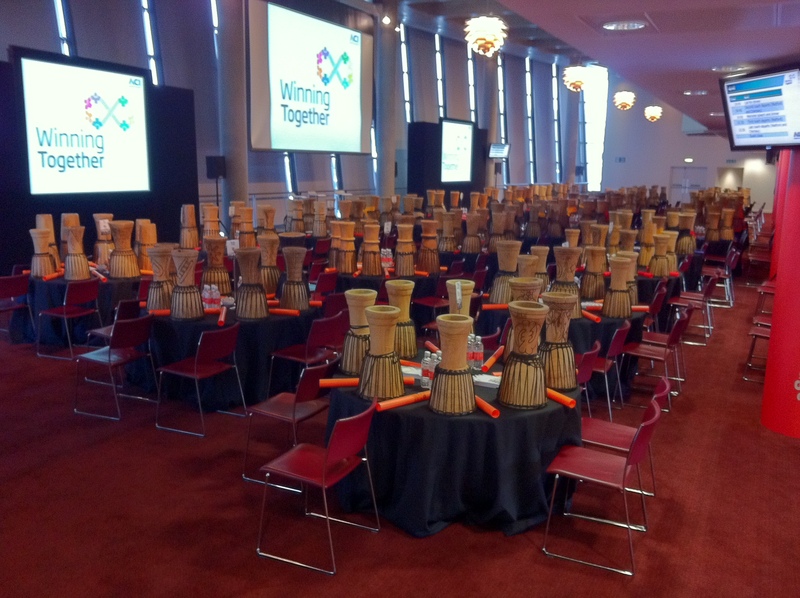 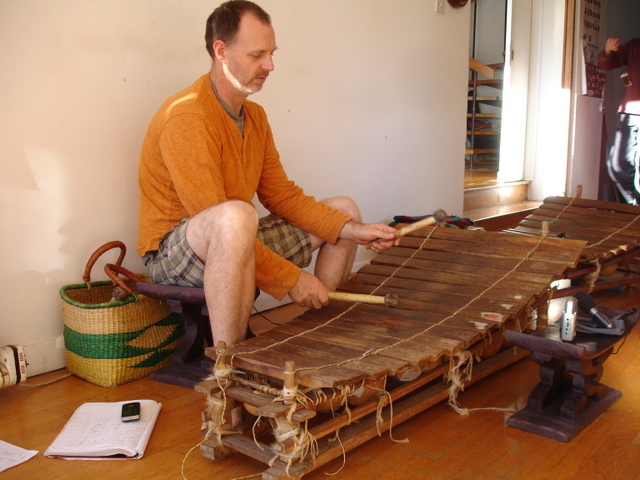 The instrument is traditionally made with 14 wooden keys of an African hardwood called liga attached to a wooden frame, below which hang gourds. 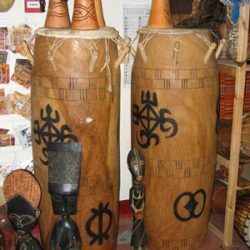 Spider web silk covers small holes in the gourds to produce a buzzing sound, and antelope sinew and leather are used for the fastenings. 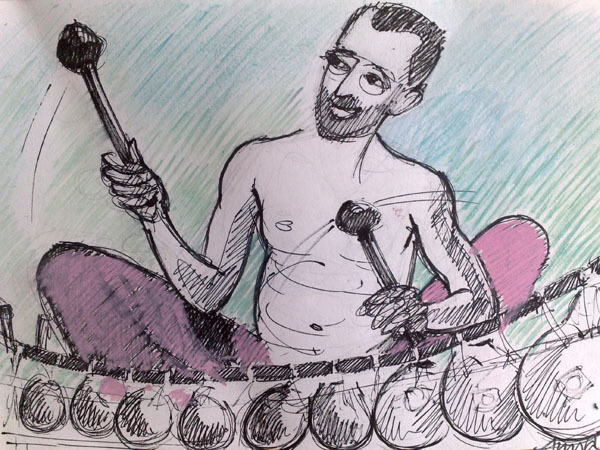 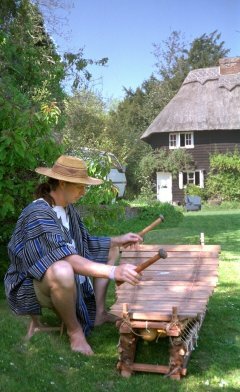 The instrument is played by striking the keys with wooden mallets with rubber heads. 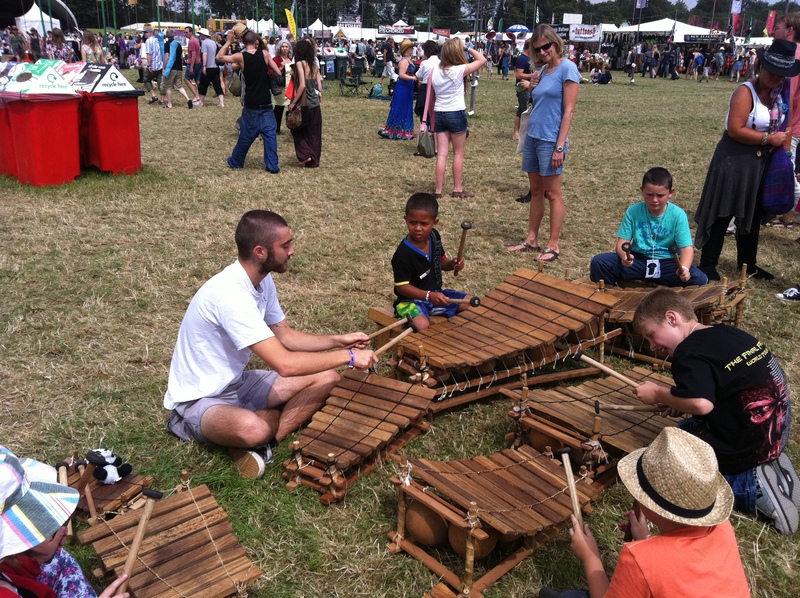 The instrument is generally played by men, who learn to play while young, however, there is no restriction on gender. 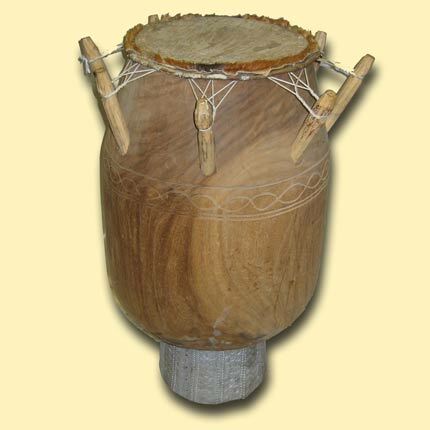 The gyil is usually played in pairs, accompanied by a calabash gourd drum called a kuor. 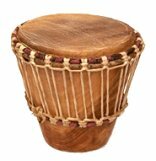 It can also be played by one person with the drum and the stick part as accompaniment, or by a soloist.